The new BlackBerry Key2 LE is a more affordable version of the Key2, but has weaker specifications and lacks the iconic touch-sensitive keyboard surface. It will appeal to QWERTY warriors who own classic BlackBerries and are looking for an upgrade. However, this phone still runs Android, not the BlackBerry 10 OS, and integration is a little lacking. The specifications are decidedly sub-par for the price, and the cameras are the most disappointing aspect of this phone. If you can live without a physical keyboard, there are plenty of Android alternatives that deliver better value at half the price or less. BlackBerry KEY2 LE smartphone was launched in August 2018. The phone comes with a 4.00-inch touchscreen display with a resolution of 1080x1620 pixels at a pixel density of 434 pixels per inch (ppi) and an aspect ratio of 3:2. BlackBerry KEY2 LE is powered by a 1.8GHz octa-core Qualcomm Snapdragon 636 processor. It comes with 4GB of RAM. The BlackBerry KEY2 LE runs Android 8.1 and is powered by a 3,000mAh battery. The BlackBerry KEY2 LE supports Quick Charge 3.0 fast charging. As far as the cameras are concerned, the BlackBerry KEY2 LE on the rear packs a 13-megapixel primary camera with an f/2.2 aperture and a pixel size of 1.12-micron and a second 5-megapixel camera with an f/2.4 aperture and a pixel size of 1.12-micron. The rear camera setup has phase detection autofocus. It sports a 8-megapixel camera on the front for selfies. BlackBerry KEY2 LE based on Android 8.1 and packs 32GB of inbuilt storage that can be expanded via microSD card (up to 256GB). 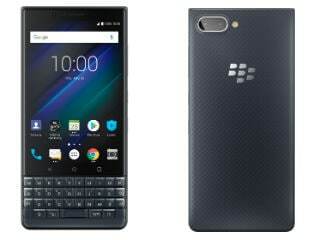 The BlackBerry KEY2 LE is a dual-SIM (GSM and GSM) smartphone. Connectivity options on the BlackBerry KEY2 LE include Wi-Fi 802.11 a/b/g/n/ac, GPS, Bluetooth v5.00, NFC, USB OTG, USB Type-C, 3G, and 4G (with support for Band 40 used by some LTE networks in India). Sensors on the phone include accelerometer, ambient light sensor, compass/ magnetometer, gyroscope, proximity sensor, and fingerprint sensor. 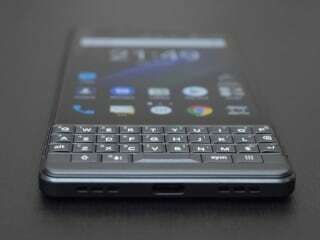 The BlackBerry KEY2 LE measures 150.25 x 71.80 x 8.35mm (height x width x thickness) and weighs 156.00 grams. It was launched in Atomic, Champagne, and Slate colours. 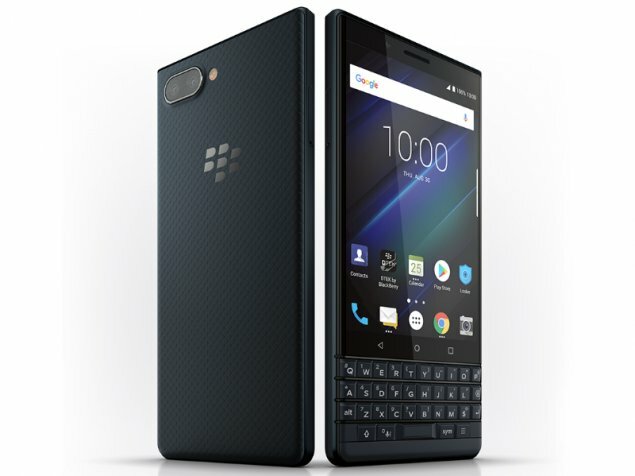 As of 20th April 2019, BlackBerry KEY2 LE price in India starts at Rs. 22,990.